Cats shouldn’t be overweight. In the wild they are hunters and have lean, shapely bodies. However, nowadays many people keep their cats indoors for safety reasons. This is a great reason to keep your cats inside, but indoor cats don’t get as much exercise as outdoor cats and there is a tendency for them to put on weight as they get older.. In addition, many people feed their cats meat flavored cereal, not realizing that it isn’t good for them. Empty carbs are fattening and there is no need for fillers such as wheat, corn, or soy. Outdoors, cats will hunt mice, rats, and so on and their diet doesn’t contain more than 10% carbs. There is a lot of advice out there about diet cat food, but too many of these diets cut down on protein and fat. If they have too little protein, muscle loss can occur. In addition, cats are natural carnivores and will only be satisfied by a diet containing a lot of protein and fat. Without them, they are hungry and will want to eat more. If you free feed them with dry food, they can pick all day and therefore put on weight. It is best to just put down the exact amount of food that they are allowed. Obesity in cats is defined by a body weight of 20% or more above the recommended weight. If your cats don’t have a waistline and their stomach bulges and sags, they are definitely overweight and need to go on a weight control diet. 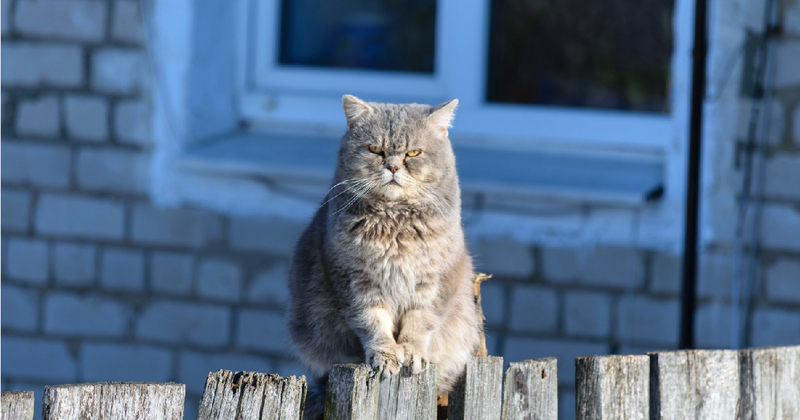 In this article we will guide you through the obesity problem which cats may suffer as they age. We will also give you our top picks of weight management foods to give your fat cats. 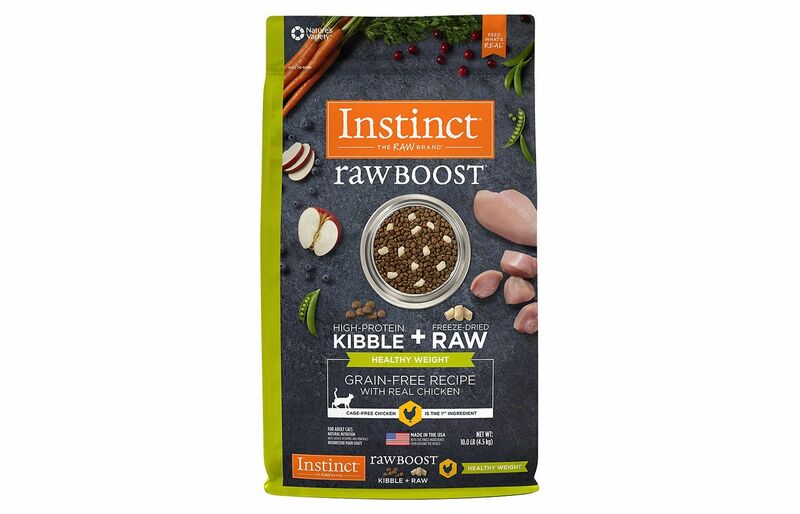 Our top pick is Instinct by Nature’s Variety Raw Boost Healthy Weight which helps to support a healthy waistline with fewer calories than their normal adult range of food. This is our top choice as it has cage-free chicken as its’ first ingredient, meaning that it is packed with protein for energy and lean, strong muscles. The kibble is made of freeze-dried raw meat which is highly nutritious. By not cooking it, it keeps all the nutrients packed inside each bite. This dry food helps to support a healthy weight with less calories and fat than are in the normal cat food, Instinct Raw Boost. In fact, Instinct Raw Boost has 25% more fat and 15% more calories. Cats do need to have fat in their diet, but in moderate amounts. The food has a good level of fiber which means that the digestive process will work better and also that your cat will feel fuller for longer, always important when on a weight loss program. 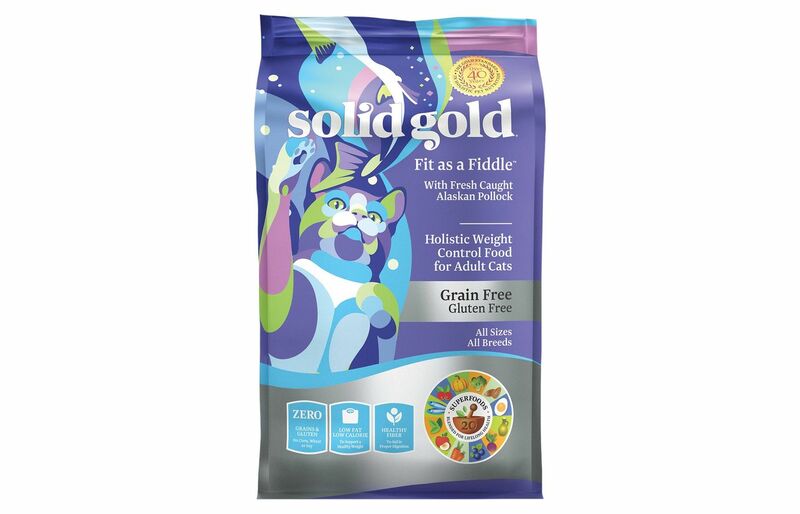 The great thing about this product is that it doesn’t contain any grains, such as wheat, soy, or corn, potato, or by product meal so your cat won’t be getting any empty fillers which are filled with calories. 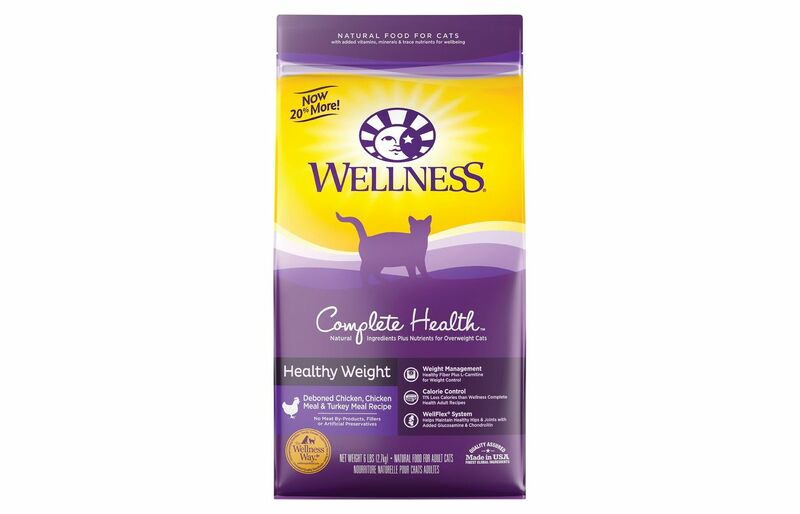 This is our top weight control wet cat food. In tests 88% of the cats surveyed lost weight within two months. It works in conjunction with your cats metabolism, increasing the speed in which your cats metabolise food and so helps them to lose weight and keep it off, which can be a struggle for people as well as for cats. 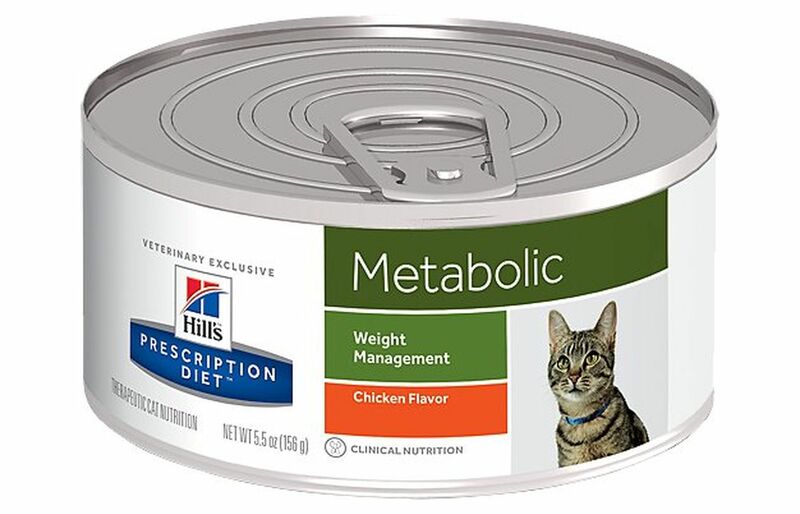 This food makes your cat feel full up in between meals and so they won’t notice that they are getting a lower calorie meal. It still gives them plenty of energy so they can work off extra weight with exercise as well. In addition, this wet food has plenty of fiber which comes from fruit and vegetables, not empty fillers. This makes it easy for your cats to digest the meal. Although there is less protein in this food than in a dry food, it is compensated for by the extra moisture which keep your cat hydrated. This dry cat food is great as not only does it help your kitties to lose weight, but it also gets rid of hairballs. It is jam-packed full of protein for lean muscles and energy, and chicken is the number one ingredient. There is also turkey which helps to boost the protein count. In addition, this food contains L-carnitine which people often take as a weight loss supplement. It plays a crucial role in the production of energy and will help your cats to lose weight and later, to maintain their weight loss. There is plenty of fiber in this cat food, including garden greens. These blend with beet pulp and aid the digestion process. As well as weight loss this helps to reduce hairballs. 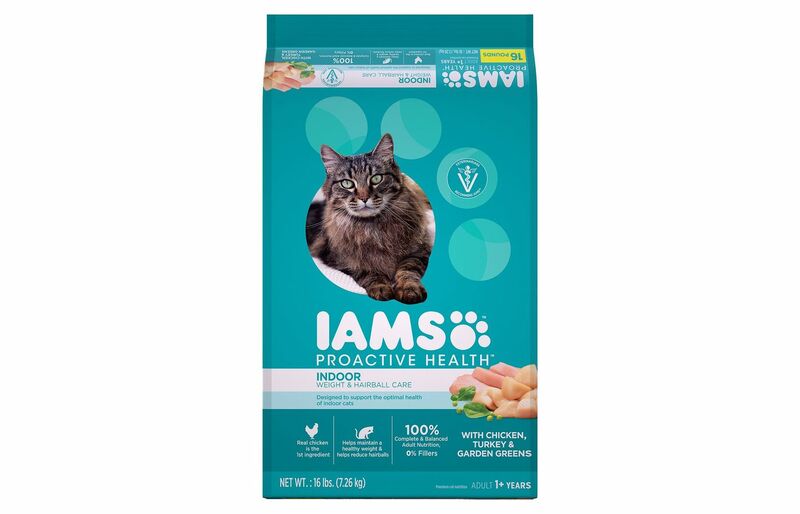 This product has 10% less fat than IAMS healthy Adult Original with Chicken, but still has enough fat to be converted into energy. This Purina-Pro Plan wet cat food is low in calories, but high in protein. It is made with real turkey which supports strong muscles, while reducing the fat on your overweight kitties.. It contains taurine which helps to protect against heart disease and eye problems. This is good because heart disease can be a side effect of being overweight. There are plenty of Omega-6 fatty acids in this cat food. 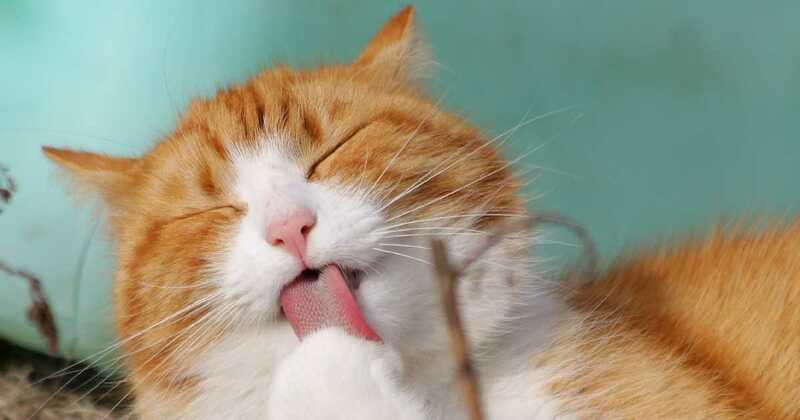 They help to give your cats healthy skin and a beautiful, shiny coat. It is packed full of antioxidants which supports a healthy immune system. 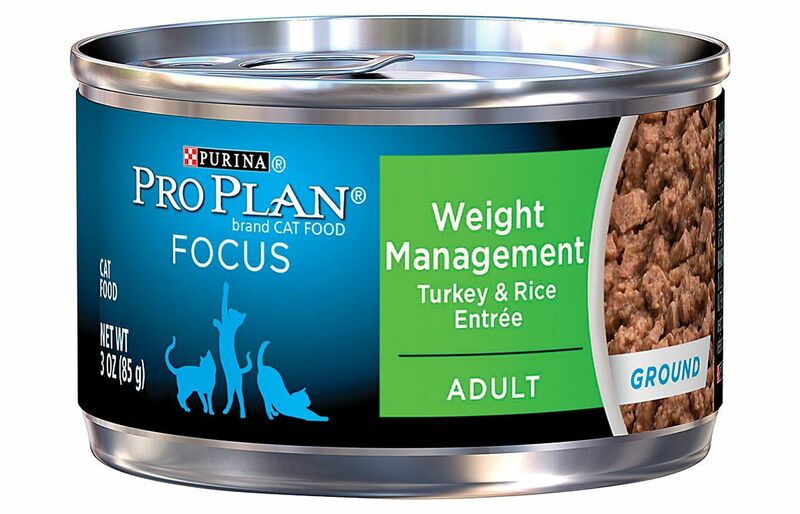 If your cats carry on eating Purina Pro-Plan Weight Management food even after they have lost weight, they should be able to maintain an ideal body weight. Great eaten on it’s own or poured over some low calorie kibble. This dry weight management cat food has farm-raised chicken as its’ number one ingredient. There is plenty of protein which both gives the food a great taste as well as supporting strong muscles. Cats need protein so they will love the taste of this kbble even though it is low in calories. 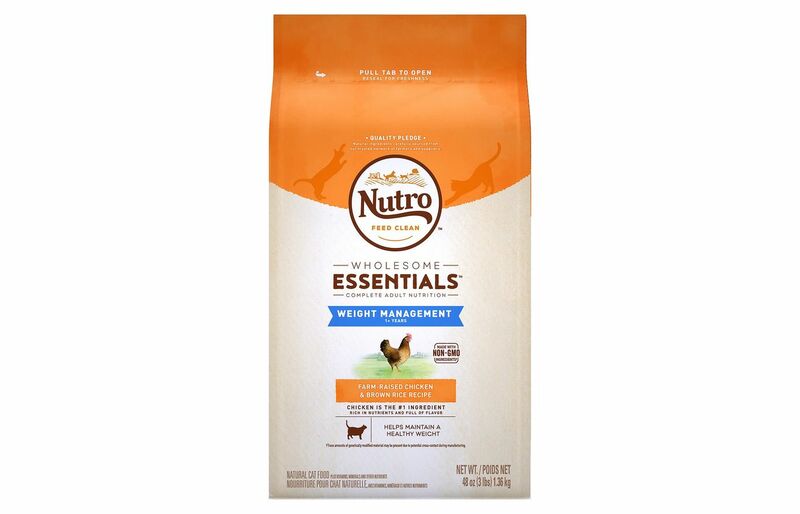 In fact it has 28% less fat and 13% fewer calories than a similar product, Nutro Wholesome Essentials. It should help your cats to lose weight and then maintain it once they have got down to the desired weight. It is jam-packed with antioxidants such as vitamin E. This vitamin supports a healthy immune system.There is also fiber included in the recipe which promotes healthy digestion, and essential taurine for eye and heart health. In addition it doesn’t contain anti-GMO products which is nothing but good for your cats. There are also no artificial colors, flavors of preservatives. This dry cat food has two purposes; one to help your kitties lose weight, and the other to help get rid of their hairballs. What great value in just one bag. 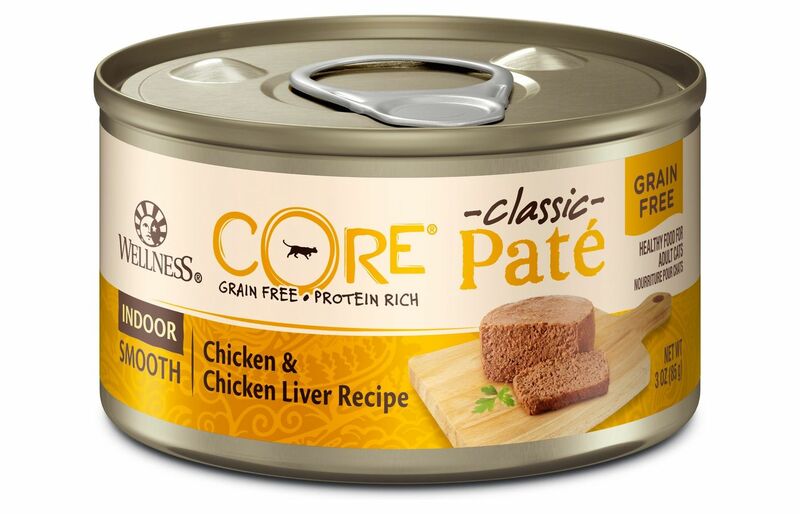 It is full of protein which will give your cats plenty of energy and help build strong and lean muscles. The protein is real chicken and it is the top ingredient in this food. 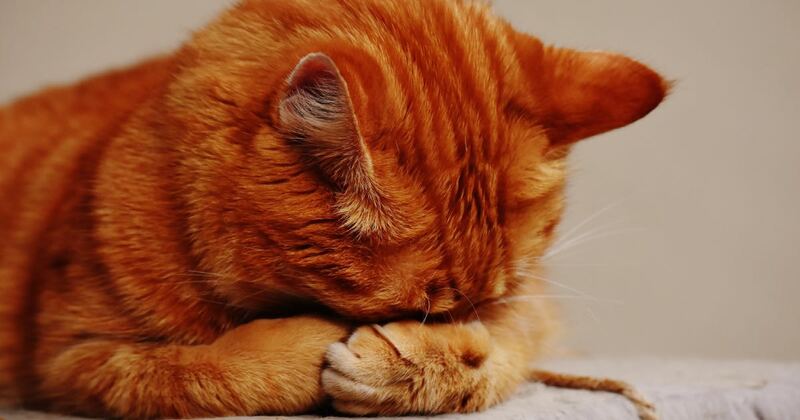 Your cats will get the boost of protein which they need, but with a reduced calorie count. There are no empty fillers such as wheat, corn, or soy, gluten, or meat by-products. 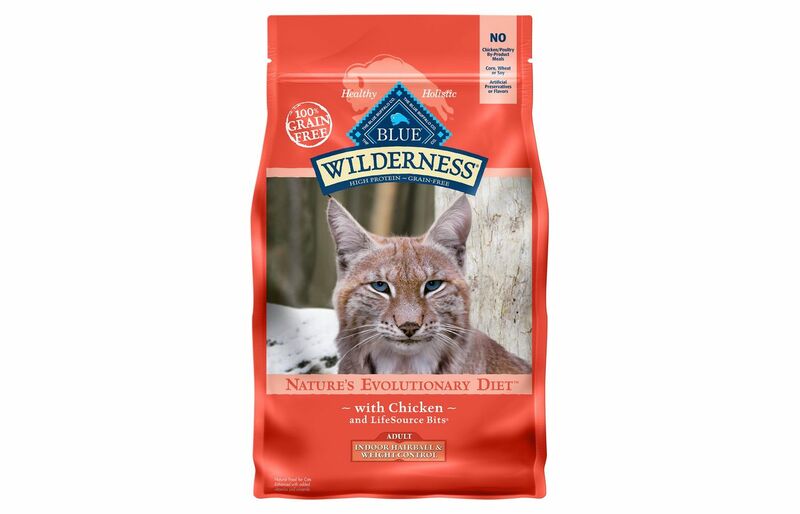 None of these have a place in your cat’s diet..
Blue Buffalo fill their foods with Lifesource Bits which are a blend of vitamins, minerals, and superfoods, all designed to keep your cats at optimum health. In addition, it contains omegas for a healthy skin and a glossy coat, and taurine which supports a healthy heart and good vision. There are amino acids which help to give extra energy which is what you want your cats to have. If they exercise more, they should lose more weight. There is fiber in this dry cat food which aids the digestive process and also helps to prevent hairballs. This is a dry food your cats will love despite it being low calorie. It is filled with Alaskan Pollock which is a lean protein and one which has a lower fat count than non-low calorie foods. Your cats won’t even notice the difference. There can’t be that many cats out there who don’t like fish. Even better is that there aren’t any empty fillers in this food. There are no grains like corn, wheat, or soy, nor any gluten This is much healthier for your cats. Yes, cats do need a certain amount of carbs, but this is better found in such foods as brown rice or barley. In addition, many cats are allergic to grains. Solid Gold Fit as a FIddle has a special blend of 20 superfoods, including many vitamins and minerals, all of which help to strengthen the immune system. There’s plenty of fiber as well which helps your cats digest their food properly. This food is high in protein, low in carbs, and with a moderate calorie count, similar to the diet they would have in the wild. It will give them plenty of energy so that they play more. Here is another protein-rich dry cat food, all the better for strong muscles and increased energy. Not only does it have deboned chicken as the top ingredient, but it also contains chicken meal and turkey meal. Your cats will be bounding about all over the house on this diet, all of which will help them to lose weight. There are no empty grain fillers, but only fiber-rich grains such as barley and brown rice. These will help your cats to digest their food properly and to have regular bowel movements. In addition, this helps to get rid of hairballs. This kibble is good for the immune system of your cats as it is filled with antioxidants It has flax seeds which are good for the coat and skin and it is jam-packed full of vitamins and minerals. L-carnitine helps to speed up the metabolism which is what you want so that your cats will be able to lose weight. Taurine is also included and this helps with vision and heart-health. This product has 10% less calories than normal Wellness foods. 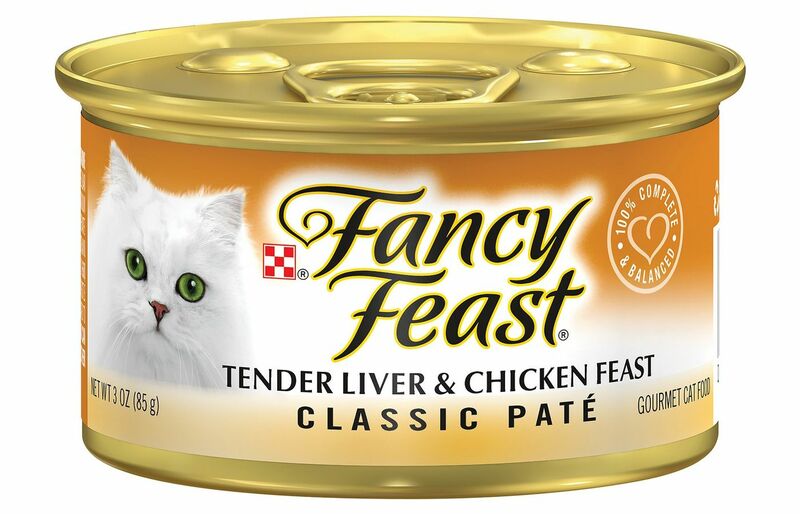 This is a very low calorie canned cat food, but it is still delicious Unlike many canned foods which have water as the first ingredient, this has chicken and chicken liver as the top ingredients. What could be better for your overweight cats? There’s no point giving them a food they won’t eat, but they should be very happy with this wet food. It is also completely grain-free. There’s no wheat, corn, or soy so your cats won’t be getting any empty fillers, just a whole lot of goodness. 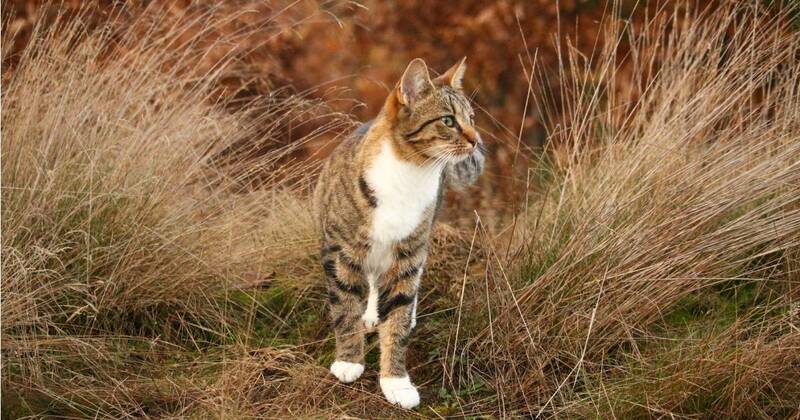 The protein will give your cats the energy to play, despite the lower calorie count. It will also strengthen their muscles. 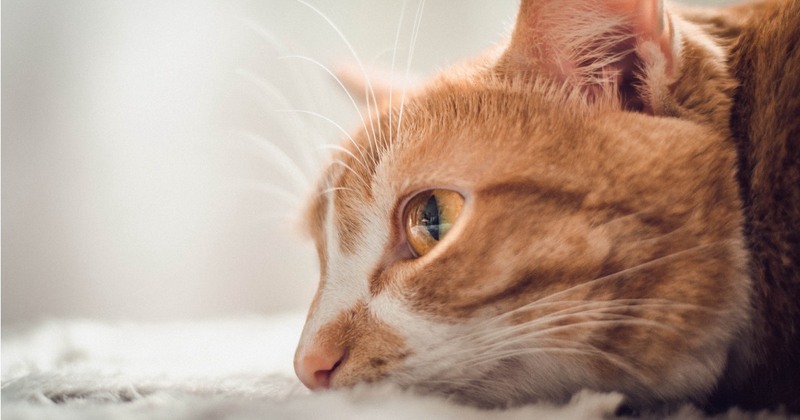 With every bite, your cats will be getting healthy omegas, flaxseed, and salmon oil which will give them a glossy coat and healthy skin. There are plenty of vitamins and minerals packed into this can. There is taurine which helps to keep the heart healthy and vision good. In addition this wet food will keep your cats hydrated. This is the only disadvantage with dry food, although if your cats are drinking enough water, it’s fine. Why not pour some of this delicious broth over some kibble. Then they’ll be getting the best of both worlds. Here we have another wet cat food which is low in calories and will help your kitty to lose that unnecessary weight. It has plenty of protein in the form of chicken broth, chicken and liver which will give your cats the energy to burn off those extra pounds. It is almost free of plant products so your furry friend can just enjoy the protein kick. After all, this is what they would eat out in the wild. The chicken broth keeps your cats hydrated and it is also helpful in keeping the urinary tract working properly. This food is jam-packed full of antioxidants and omegas which help your pals to have healthy skin and a glossy coat There are also plenty of vitamins and minerals, including taurine which is great when it comes to heart and vision health. Your cats will love the taste of this food, while you will love it as they will be losing weight. Is a lot of protein good for an overweight Cat? The answer to this question is simple. Yes. Cats are natural carnivores and will only be satisfied by a protein-rich meal. You want your cats to lose weight, but you don’t want them to go hungry. A diet high in protein, with moderate levels of fat, and few carbs is the best way to go. Protein keeps their muscles lean and strong and also give them energy. 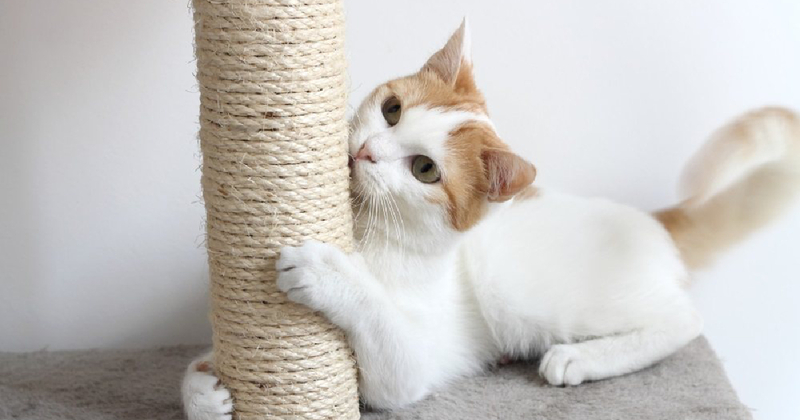 If your cats are couch potatoes, protein will get them on their feet and up and down that cat tree. Most proteins used in low calorie meals are lean; for example, poultry and fish, which have less calories than red meat. Fat is usually cut down on, but not got rid of as it also gives cats energy..
Should I feed my overweight cats wet or dry food? Ideally you should feed them both. Dry food has the advantage of being jam-packed with protein, while wet food has the moisture they need to stay hydrated. It’s a good idea to put some dry food down and then use wet food as a topper. 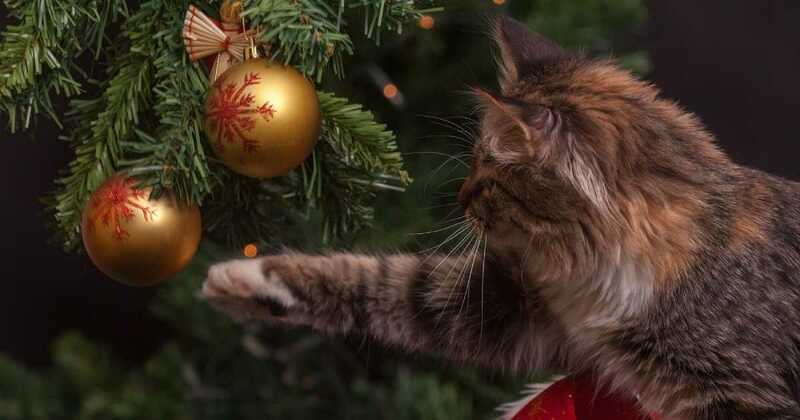 Of course, if your cats only like one type of food, it is best to just give them that otherwise they might refuse to eat and that’s not the best way for them to lose weight. Don’t free feed kibble. Cats might love to snack, but if they are overweight they only need their allotted amount of food.